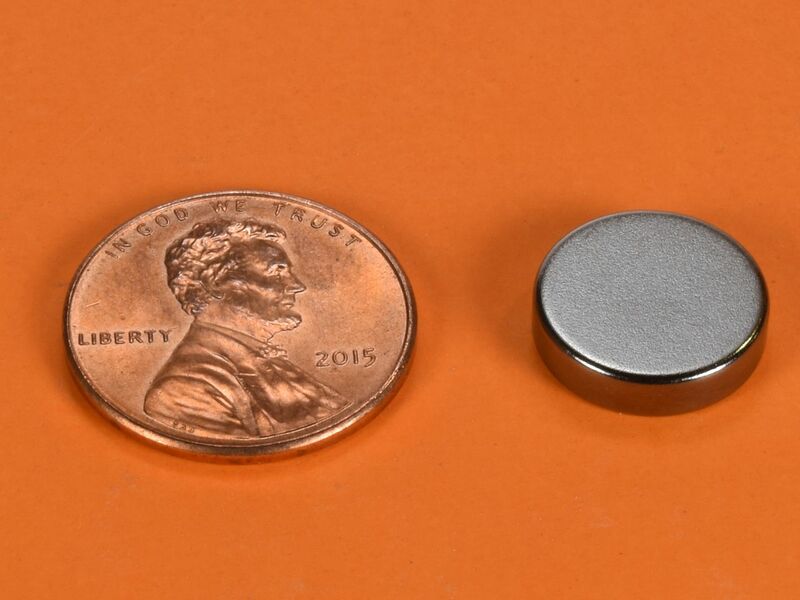 The D82B magnets are the same size as our standard D82 discs, but in high grade N52 material. Each disc is 1/2" in diameter and 1/8" thick. They are very powerful discs for their size. 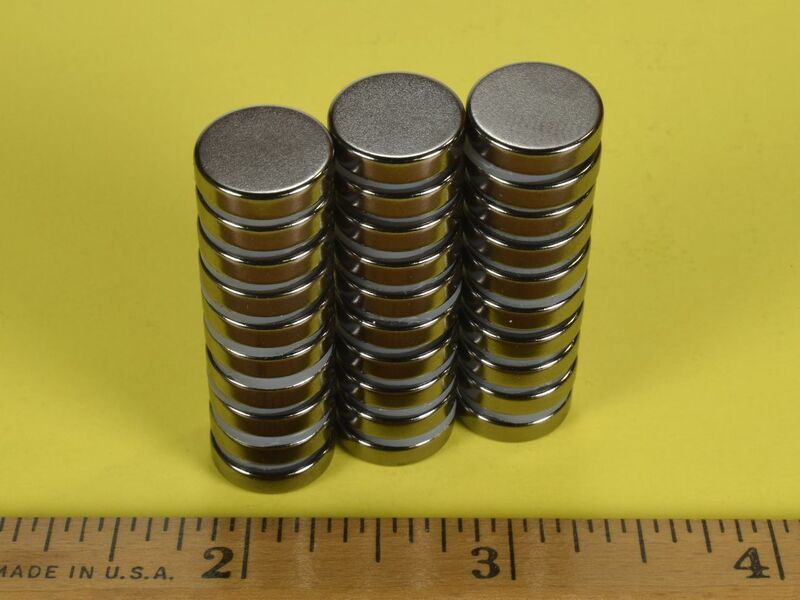 Like our other black nickel plated magnets, these things just look neat. 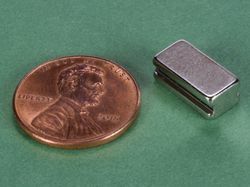 This size is also available in grade N52 with our standard Nickel plating as part number D82-N52, in grade N42 as part number D82, in grade N42 with a Black Epoxy coating as part number D82E, diametrically magnetized in grade N42 as part number D82DIA, and in High Temp grade N42SH as part number D82SH. Note: Our "Black Nickel" plating is achieved by adding a special tint during the nickel plating process. The resulting color is not black. 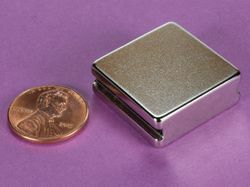 The appearance of these magnets is best described as grey, charcoal or gunmetal. Due to this unique process, slight variation in color may occur from order to order.